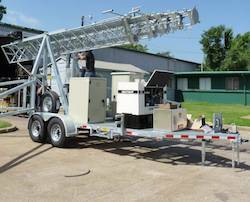 Disaster Relief Solar Light Tower. Used Through Out The United States and World wide by FEMA Federal Emergency Management Agency, DHS Department of Homeland Security, Disaster Recovery Efforts, Red Cross Disaster Relief, European Union, EU Refugees Camps, NATO North Atlantic Treaty Organization, Disaster Preparedness & Recovery. Mobile Power Solar Trailer. Used Through Out The United States and World wide by FEMA Federal Emergency Management Agency, DHS Department of Homeland Security, Disaster Recovery Efforts, Red Cross Disaster Relief, European Union, EU Refugees Camps, NATO North Atlantic Treaty Organization, Disaster Preparedness & Recovery. 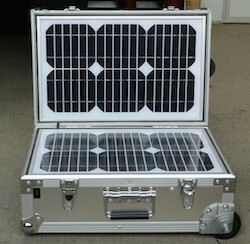 Off-Grid Solar Trailer Power Systems, Solar Trailer. emergency and off-grid power needs, Water Purification, Medical Refrigeration, Water Pumping, Water Level Monitoring, Used Through Out The United States and World wide by FEMA Federal Emergency Management Agency, DHS Department of Homeland Security, Disaster Recovery Efforts, Red Cross Disaster Relief, European Union, EU Refugees Camps, NATO North Atlantic Treaty Organization, Disaster Preparedness & Recovery. 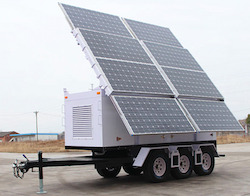 Trailer Mounted Power Systems, Trailer System for emergency and off-grid power needs, Trailer System for Water Purification, Trailer System for Medical Refrigeration, Trailer System for Water Pumping, Trailer System for Water Level Monitoring, Solar Trailer. Used Through Out The United States and World wide by FEMA Federal Emergency Management Agency, DHS Department of Homeland Security, Disaster Recovery Efforts, Red Cross Disaster Relief, European Union, EU Refugees Camps, NATO North Atlantic Treaty Organization, Disaster Preparedness & Recovery. Mobile Communication Trailer Solar, Used Through Out The United States and World wide by FEMA Federal Emergency Management Agency, DHS Department of Homeland Security, Disaster Recovery Efforts, Red Cross Disaster Relief, European Union, EU Refugees Camps, NATO North Atlantic Treaty Organization, Disaster Preparedness & Recovery. 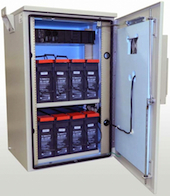 Energy Storage System 9 KW Hour - Lithium batteries 24 Volts connected in series. Pack Voltage Nominal 24 VDC; Pack Voltage Peak 32 VDC; Cycle life 3000 Cycles; Five year prorated warranty. Includes Battery Management system, cell monitoring of temperature and voltage control. Fuel cells backup for Railroad crossing signals. Solar Railway Solutions, Wayside Signaling, Positive Train Control (PTC), and Pole Line. 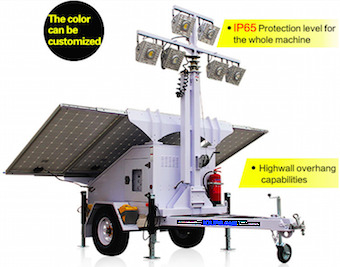 Solar off-grid power for the following applications: Intermediate Signals, Switch Machines, Hot Box Detectors, 2-Volt Track Circuits, Slide Fences, Repeaters, Dragging Equipment, Detectors, Grade Crossings, Telecom Sites, and Broken Rail Detection. Bitcoin Backup UPS Secure Power Solutions 100% Guaranteed availability for mission-critical Computer systems. Bitcoin Mining Solar Powered Generator and UPS Solutions 100% Guaranteed availability for mission-critical Computer Hardware Systems Lower to 0 your electric bills when Mining Bitcoins. EV Charge Station Electrical Vehicle Solar Powered Charging Station 1.7Kw Daily output. Solar Powered Charging Station for Electrical Vehicle 1.7Kw Daily output. Solar Powered EV Electrical Vehicle Charging Station 1.7Kw Daily output. Electrical Vehicle Charging Stations, ChargeSPOT RF30A is capable of providing up to 7.2 kW of power which is enough to fully charge most PHEV in 2 to 4 hours. 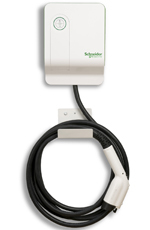 Electrical Vehicle Charging Stations, ChargeSPOT RF50A is capable of providing up to 12 kW of power which is enough to fully charge most PHEV in 1 to 2 hours. 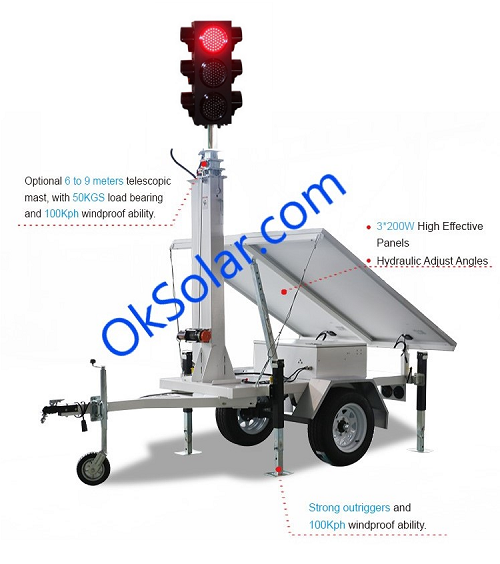 OkSolar Electrical Cars Charging system is a line of solar modules designed to make electric carts more productive. Constructed of the latest in thin film solar technology from OkSolar these new modules provide a simple and cost effective path to greener electric carts. How To Charge Electrical Cars with Solar Energy Charging OkSolar modules designed to make electric carts more productive. Constructed of the latest in thin film solar technology from OkSolar these new modules provide a simple and cost effective path to greener electric carts. Golf Carts Batteries Solar Powered, OkSolar Electrical Cars Charging system is a line of solar modules designed to make electric carts more productive. Constructed of the latest in thin film solar technology from OkSolar these new modules provide a simple and cost effective path to greener electric carts. 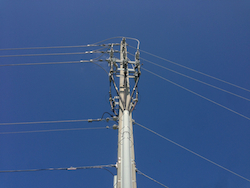 Telecom Power Supplies Integrated Telecom Power Unit is an all-in-one power solution for Mobile Telecom Operators.